We will leave your home with pride, satisfaction guaranteed. Not just super friendly. Professional. A team of professional painters and decorators. Years of experience working with homeowners, landlords and tenants across Sussex and the South East. Providing more than just painting and decorating services for all types of properties, inside-out. 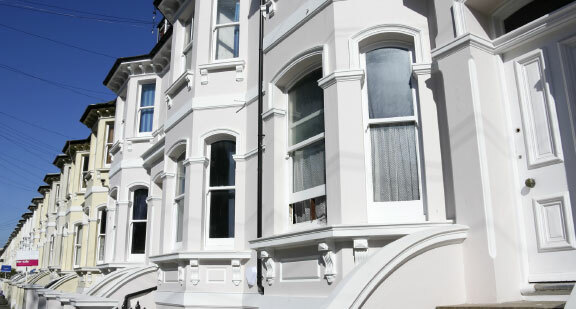 We understand that decorating is the most cost effective way to increase the value of your property. And that is what we do. With satisfaction guaranteed. Would you only need a single room painted quickly? Paint new accent wall or bridge wall to the ceiling with a mould? Or the whole property requires freshening up? Do you want a professional, no-fuss tradesmen that you can rely on every time? Need a friendly advice on colours, finishes or meterials? Would you expect a FREE quote and consultation from your decorator? Get in touch. Painting and decorating is our specialty, that's what we do, that's what we love doing. And although we have, over the years, gained experience in other building trades, we are best with brush and roller. Only need to paint a single room or would like to get your decorating done in stages? No problem. We will visit to survey the property within 2 days and your painting can start soon after. Request your free estimate. Harsh weather will cause damage to walls and outer structures of any seaside building. Go weather-proof with us using Keim mineral paints and protect the value of your property. We proudly rely on the best brands on the market to do so. All woodwork really needs looking after. Especially when outside, exposed to harsh weather. We can help protect your new windows, doors or any timber frames with specialist paints or even bring the old ones to life. If you own a period property you know it needs special attention not only when decorating. We have a wealth of experience painting and decorating properties some as old as 500 years, that we brought back to life. Have a look at our projects. Usually a new-build or larger projects require other trades to work along each other in harmony, start or finish sections at certain times to let others do their work properly. We can offer our experience in such situations and will work to fit your project's schedules and deadlines. View some of our projects, read comments from our customers, see the scope of work we can undertake.